Pundits (including me) have been predicting Apple’s entry into the mobile payment space — using a smartphone instead of a credit card to buy stuff in the real world — for years. It hasn’t been a hard prediction to make. The financial rewards are enormous, and Apple has filed multiple patents around mobile payments over the years. Now, it’s finally happening. And although Apple hasn’t really started yet, they’re already way, way ahead of just about every other player. The paper also said that online store boss Jennifer Bailey has been re-assigned to a new role where she’s tasked with growing a payment service at Apple. The move would pit Apple in direct competition with PayPal, Square, Stripe, Google, Amazon, MasterCard and many others. Americans alone ran about $2.4 trillion dollars — that’s trillion with a t — through their credit cards in 2012, according to the U.S. Census Bureau. Yet credit cards are dumb. They’re insecure, easy to hack or steal. Think of that stack of credit cards in your wallet as separate memory cards for each of your bank accounts — memory cards that you can’t view or do anything with direction because there’s no user interface. Financial companies may like credit and debit cards because there’s opportunity in their obsolescence. You can’t see your balance on your debit card, so it’s easy to go past the limit. And when you do, Wells Fargo charges you $35. It’s a great business. Mobile phones are a much better way to pay for things, at least for consumers. Mobile payments can and should be more secure than credit cards, as well as easy to use and powerful because you can use apps to manage the data. By processing mobile payments data, Apple can skim pennies from many billions of dollars in transactions every year while simultaneously giving iPhone users a better experience around buying stuff. Apple would be stupid to not get into this business. And they’re not stupid. If they haven’t started yet, how can Apple be way ahead? I’m glad you asked! The fact is that they started long ago and have been working toward this outcome for years. Your credit card. Apple has on file the current credit cards of most iTunes users. Apple claimed last year to have 575 million registered iTunes users. Your trust and habit. Of course, lots of companies have your credit card somewhere on file. But only a few have established a trust and familiarity and habit of use. Amazon is probably #1 in this regard, at least in the United States. People one-click order on Amazon like it’s a bodily function. But Apple is way up there, too. Just think about how many individual purchases for digital goods you’ve made through iTunes by simply entering in your password on an iPhone. More cash registers. In a mobile payments world, the phone is the cash register. Once Apple throws that big switch in Cupertino and enables mobile payments on every iPhone, Apple will suddenly become the world’s largest cash register company. There are more than 300 million iPhones currently in use. Global reach. Google’s Wallet Card, Coin, Square and Amazon are all essentially US-only services. Apple’s iTunes purchasing is global. Universal wireless. Apple has built Bluetooth 4.0 (a.k.a. Bluetooth Smart or Bluetooth Low Energy) into every iPhone since the iPhone 4S. The leading indoor location system. Apple’s Bluetooth 4.0-dependent iBeacon system is spreading like a virus around retail and other locations around the United States. Indoor location will be the platform through which Apple will most likely focus its mobile payments system. Walk into a store. Get a coupon for the item on the shelf you’re standing in front of. Press a button. Now you own it. The receipt is in your email. Have a nice day. Authentication. 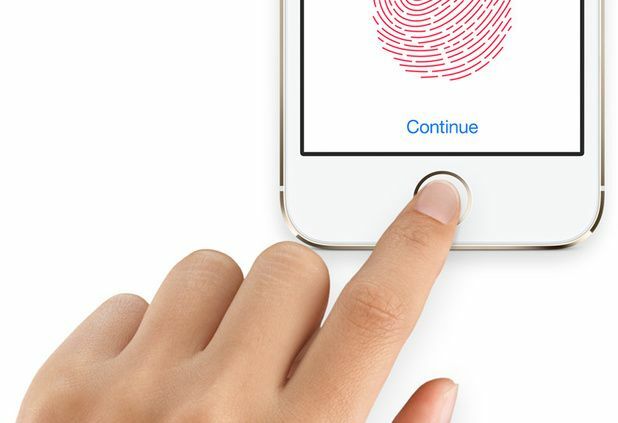 Apple’s iPhone 5S phones have fingerprint readers, which will be handy for authenticating purchases in a way that’s better than a signature on a credit card slip. In fact, the only thing missing from Apple’s mobile payments system is the easiest part — buy-in from the financial companies and point-of-sale platforms that handle payments in retail settings. Forget about it. Apple is in an incredible position to completely dominate mobile payments in the United States and in other markets around the world. iPhone users: Get ready to say good-bye to your wallet. It looks like Apple’s mobile payments system is finally going to happen .